Dallasites love their dogs, and luckily the city is a pet-friendly wonderland. 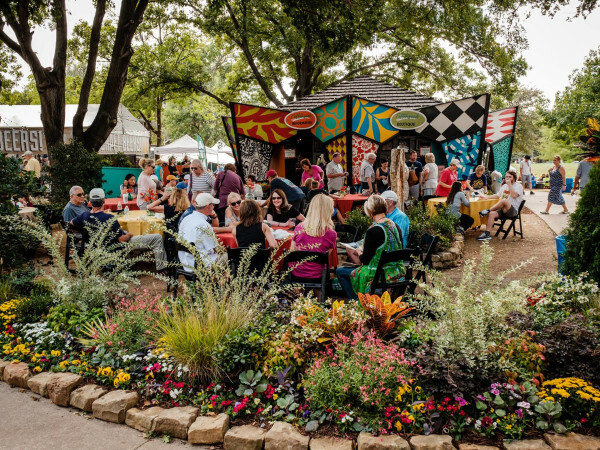 Whether you want to relax with your pooch on a patio or hit the trails for a four-legged workout, there are plenty of activities in downtown Dallas for dog owners and their furry friends. Socialization is important, both for canines and humans. Main Street Garden Urban Dog Run allows your dog to scamper off-leash, as does My Best Friend's Park at Klyde Warren Park — which also has fountains to jump through. Deep Ellum Bark Park has plenty of room to roam and cool urban artwork to enjoy, while Meadows Foundation Dog Park is a charming, grassy spot enclosed by a white picket fence. In a league of its own is Mutts Canine Cantina. At this Disneyland for dogs, you can purchase a day pass for the parks or grab a cold beverage and hang out in the 200-seat, beer garden-style patio. Hot dogs and "doggie dogs" are also available at the concession stand. Dot's Hop House welcomes dogs of all shapes and sizes on its large outdoor patio, which is crowned by a glittery chandelier. Sundays from 12-6 pm at Lee Harvey's are Dog Day Afternoons, where Fido can run free — well, as free as he can in the enclosed patio area. 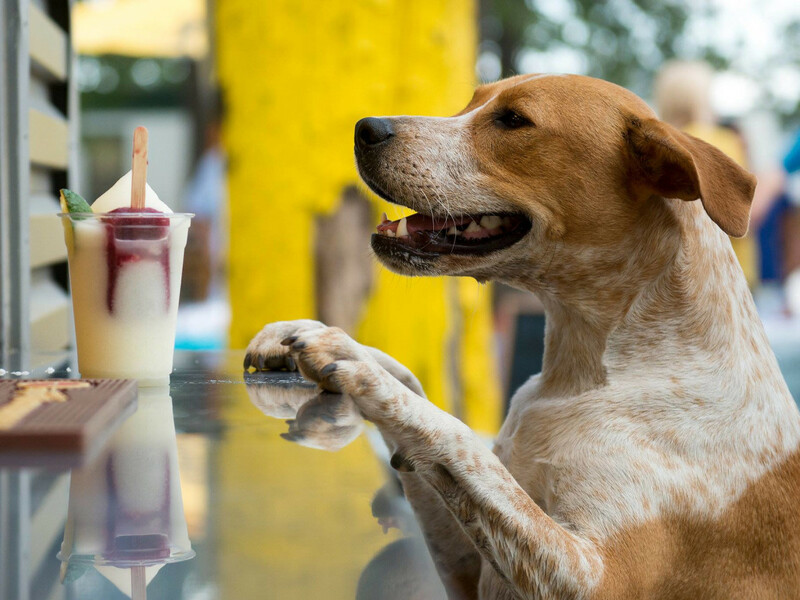 You'll also find pet-friendly patios at La Ventana, throughout the Dallas Farmers Market, at City Tavern, the sports bar Frankie's, and at what some consider the best patio in town: Harwood Tavern. Sometimes everyone's feet need a rest. An easy way to travel while still being green is the eco-friendly Efrogs shuttle. Rides are free for both you and your pup, but tips are appreciated. Another free mode of pet-friendly transport is the McKinney Avenue Trolley, a vintage streetcar that links downtown to Uptown. Let your pal know that their unconditional love and eternally wagging tails are recognized with a puppy cookie from The Upper Paw or a Dead Sea mud bath from Downtown Pawz. For extra pampering, book them a bath and haircut at the Pawliday Inn Pet Resort & Spa. If you're on a staycation or valeting your car at The Joule, make sure to grab a doggie snack from the treat jar in the dog-friendly lobby. Dog parents need their own treats as well. Bring Fido along to The Shed at the Dallas Farmers Market when you're picking up fresh produce for the week ahead. Four Corners Brewing Co. lets you have a cold one with your dog (water for them), as does Deep Ellum Brewing Company, which often has live music. And if you're looking for a new furry friend, Community Beer Co. hosts regular adoption events with Dallas Pets Alive!, a local animal nonprofit. For such a cosmopolitan city, Dallas has many serene trails that are ideal for an evening stroll with your loyal pal. Trinity Skyline Trail explores the Trinity River, or you can walk the 2.5-mile urban Trinity Strand Trail in the Design District. Of course, there's always the famous Katy Trail in Uptown, plus you can watch the sun set on the Sante Fe Trestle Trail and find solace in the fact that, no matter what, your dog will love you forever.